Click Here and then click "Download"
We had featured the grammen by Rabbi Twerski where he "complains" about being "in Golus in Chabad," but wait till you hear him sing the praises of "Rabbeinu Shlit"a" and living on Shlichus! You'd think he was a Chabadnik MiBetten U'Mileydoh. Both Grammen were sung at the wedding of a grandchild of Rabbi Sholom Posner, shliach to Pittsburgh, Pa.
What I just read - and you must too!! I picked up the book - not sure why - and could not put it down. From the cover you figure that it's a novel - a fictional one - so why bother? Maybe it was recommended by someone else in the house who had read it, I cannot remember now. But from the beginning this book is a tear-jerker, I tell ya. From the moment you pick it up you're engrossed in the story, in the tragedy that was the life of this girl, her mother and her family. There is one surprising aspect to the book, and that is that names are used - real names - when it comes to very delicate situations, which surprised me. In short, the story is like this: A young woman loses her husband. Her three children leave their "backwards" city in Transcarpathia/Marmures and leave their Yiddishkeit behind as well. She remarries, but her husband is drafted and gets TB while in the army. He dies and leaves her with a 6-month old child, but not before he makes her promise that she'll never abandon her child. Ever. The poor woman gets a job picking grapes in Hungary - menial labor, to say the least - for a Yiddishe Frau. While working she gets a splinter, and ignores it. Soon enough the pain is too much to bear and she needs to be rushed to a Hospital in Budapest, Selish/ Nagyszollos/Sevlus doesn't have what it takes to do the job. Before she knows it her arm is (oyf kayn shum Yid gedacht) amputated in a very crude way, and she's almost helpless. Relatives of her husband convince her to leave the child with her so that she can recuperate without the child being a burden for her. And if it's at all possible - there starts her real trouble. 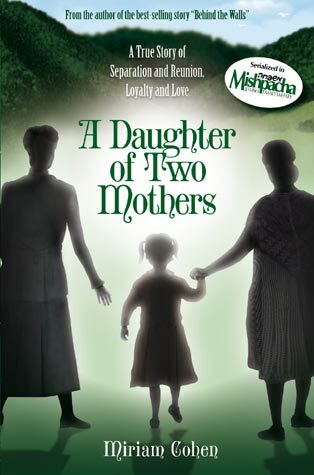 Read all about the bravery, persistence, trust and strength of a woman on a mission to retrieve her child, as well as the child's amazing story of survival during WW2, when she manages to elude the Nazi murderers at the last moment and live out the war in hiding - in a very unusual way. The memoirs were only published posthumously for that reason. I'll let you guys in on a little secret: I cried often in this book. You cry for the mother, for the young heroine, and for the those that were rounded up and gassed, HY"D. And maybe most of all, you cry when she gets to the Holy Land after ww2 and meets up with family that was lucky enough to get out before it all was destroyed. I'd tell you more, but then you wouldn't read it on your own... Get this book! Mottel has some pics and clips! Reb Volf was hidden. What we know is nothing. I saw him several times but never learned in Montreal and never was zoche to be mekabel from him. Maybe one of his mekablim here can help fill in some of the blanks and share with those who didn't know him, and may not have heard of him. The new building you see was built after I left. A building on the right - not seen here - was at first the pre-school and later the Mesivta, where shiurim and meals took place. It seems like I didn't keep my promise, after all. At the end of part IV I promised not to make you wait very long for Part V, but I guess I got caught up in other matters and never did get back to "myself." So all this talk about Spinka reminded many of you about my memoirs, and I got lots of requests to continue them, which I'll begin doing right here. 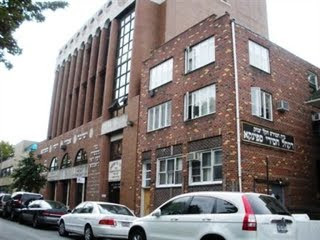 Mesivta Shem MiShmuel of Mattersdorf sits at the corner of 19th Avenue and 50th Street. The fact that they added "Mattersdorf" to the name shows you where they were heading. Before that there was no Mattersdorf on the building, or even on the stationery, AFAIK. Yes, the Roov was the Mattersdorfer Rov, or "miLefnim Ab"D Mattersdorf," but it wasn't some Mattersdorfer franchise that he was running. But in the late 80s somebody decided that the only way they could continue having a mesivta and yeshiva gedola was to give it a franchise name. Things worked out for a while, and for several years the mesivta was running just fine, but only for a few years. For a few years many of those who learned in the Cheder and came from places like Flatbush and Staten Island, would stay on for Mesivta. But that would soon come to an end. A few years after I arrived an entire class from Mesivta got up and left after 11th grade. 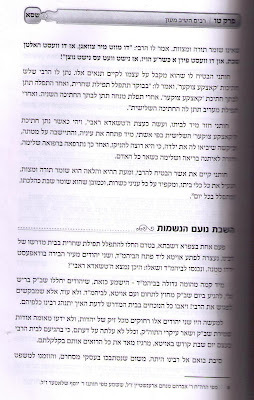 The Beis Medrish (Yeshiva Gedola, zal) was not to their liking and they all decided that they would not be going there. IIRC there was no 12th grade at that time, or 3 years mesivta was the normal setup then, I forget which, so after 11th grade you had to go to Beis Medrish, and many of the boys were not willing to do that - for several reasons. 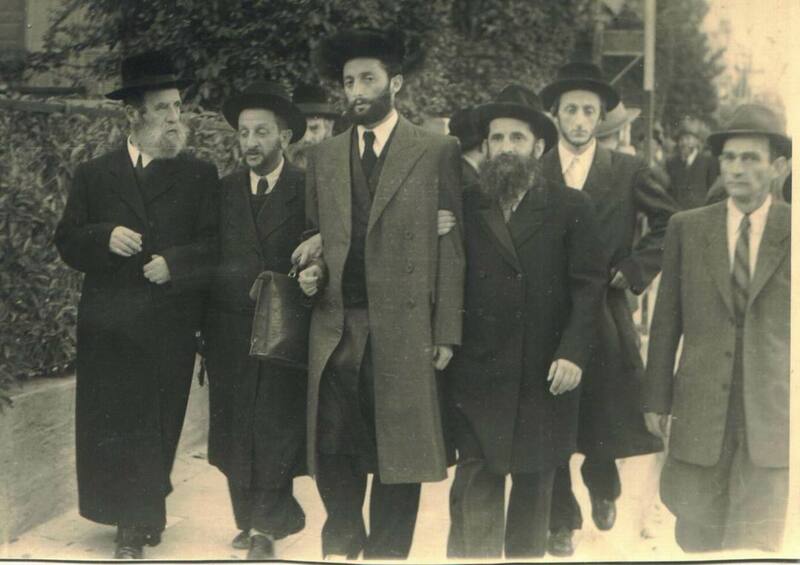 Rav Shmuel Ehrenfeld, late Mattersdorfer Rov and Rosh Yeshivah, with his son Akiva, who took a more Litvishe route in life. 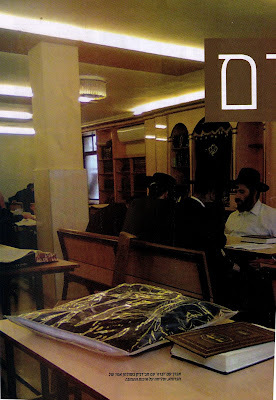 The Beis Medrish at that time was made up of mainly holdovers from the old days. Lots of extended family and old talmidim. 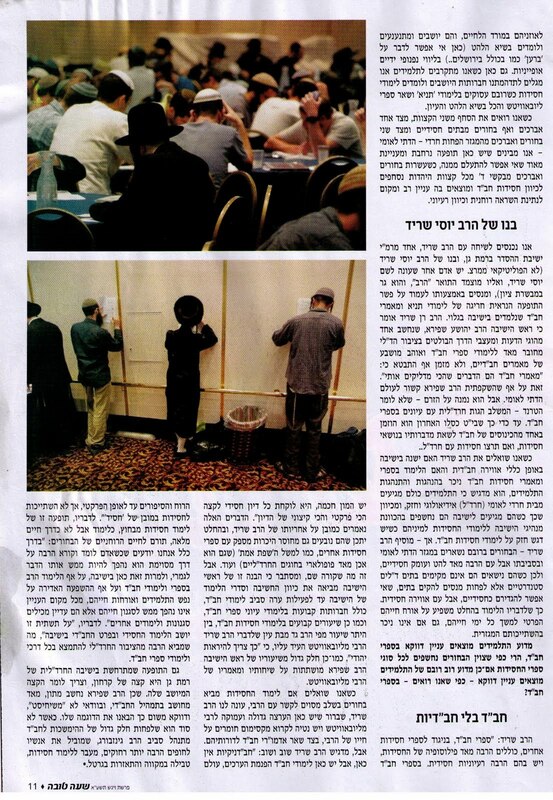 There was no official kolel by then, but a lot of the old timers came and learned there. 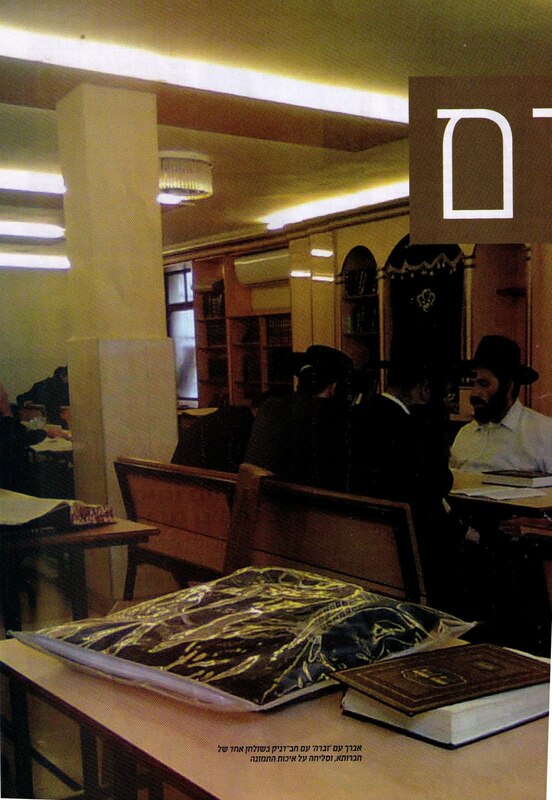 The Beis Medrish uses the actual shul that serves as the shul for Baaleibatim on Shabbos. In short, it wasn't a very pleasant situation for those Flatbush and Staten Island kids. But I'm getting way ahead of myself, talking about years later! First we need to discuss what happened while I was there, and some of the personalities I had the pleasure of getting to know. People like Rabbi Gurewitz, zg"z, who was menahel of the mesivta at that time, a Novardhikker with a car from the 60s and a man who I would've liked to have known better while I was there. I was too young to get to know him, just as I was in Spinka, and he left - IIRC - a year after I arrived there. People like Reb Hershel Cohen, z"l, a Talmid of BME and a Yid a true Yerei Shomayim, who I merited to have as a maggid shiur. Rabbi Cohen suffered terribly later on as Parkinson's ravaged his body and took his away (what we see as) before his time. He was a true Rebbi and taught as as we were his own children, caring about our progress in learning and in midos tovos and yiras shomayim. So when I say I stayed in Hungary I need to actually be a bit more clear. Yes, Mattersdorf - in the Sheva Kehillos - does fall into the category of Hungary, but it sure was different than Spinka. As different as an "Emberrer" from Budapest was to a chossid from Selish. The goyim might speak Hungarian in both cities, but boy was life different, and boy were the Yidden different there. 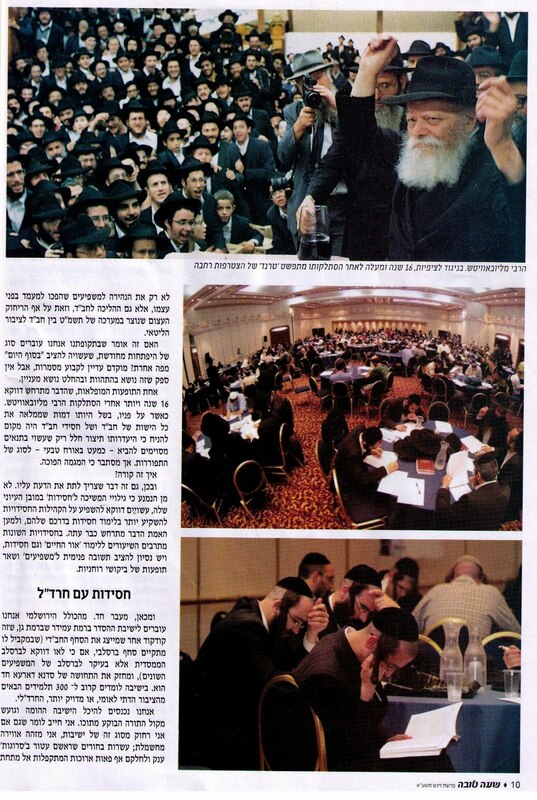 In Spinka there were Litvishe Maggidei Shiur, yes, but we had one only for Shiur Bekius ("Girseh" in Lubavitch lingo) The older bochurim had people like Reb Gershon Neuman and Reb Yerachmiel Ungarisher full time. We had Chassidishe Maggidei Shiur most of the day, and the Litvishe were there only to teach and to instill a derech haLimud, not to make policy, chas vesholom. 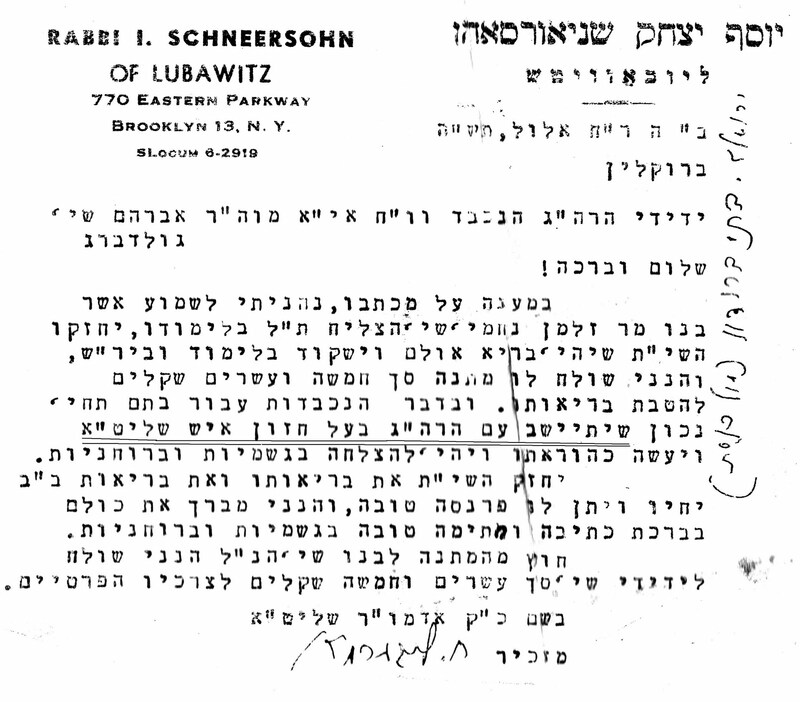 (Ironically enough they both are quite un-Litvish, with Neuman a Viener and Ungarisher a Litvak only from his mother, who was a daughter of Reb Ruven Grozovsky.) In other words they didn't dictate policy or set the tone there. In Mattersdorf they reined supreme. In Mesivta we had all Litvishe Maggidei Shiur - as far as I can remember - with one Chassidishe Maggid Shiur for Shiur Bekius. Yes, the Roov came ocassionally to give a shiur or shmuess, but that didn't set the tone, and neither did Shalisheedes in camp, it was the boys and the staff, and if you closed your eyes it could've been a Mesivta in Lakewood or Flatbush. 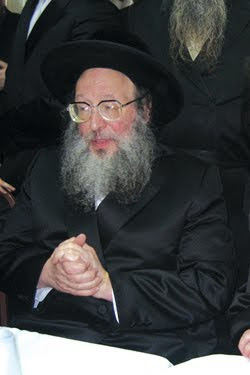 When it comes to RSFM it's no secret that he was more "noyteh" to Chassidim, yet he's seen as a very universal, unifying figure to all sides - if they are sides at all. We see him as a figure that was only interested in building Torah and those who will live by it. Scratching a bit beneath the surface will tell you that he tried to fuse the Litvishe learning and the Chassidishe derech when it came to Avodas Hashem - that too was pretty much common knowledge. We saw it in how he pushed his talmidim to visit and learn from the Chassidishe Rebbes of that time, like the Modzitzer Rebbe and the Klausenberger, Satmarer and Lubavitcher Rabbeyim. And of course, how can we forget? his Tanya shiurim and lebedige tentz and vareme nigunim. 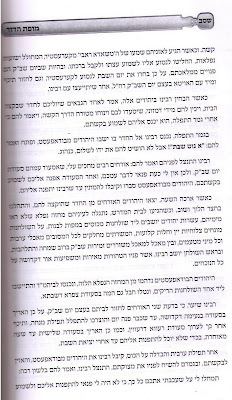 But this reshimoh seems to go a bit further, making distinctions not unlike what we would see from the Frierdige Rebbe, where clear distinctions are made between Chassidus and contemporary mussar and that derech. And what may surprise you the most is that words came from a talmid of the Arugas HaBosem and Unsdorf, not some sharfe chossid who was raised on knocking misnagdim and mussar. Erev Shabbos, New York City, 1890. 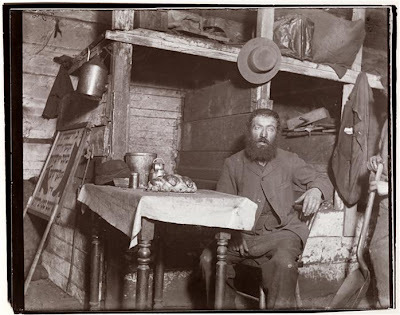 This Yiddele probably came from somewhere in Russia/Poland/Lita to "di goldene medineh" to make a living. He may have escaped pogroms with his family, or maybe his family wasn't as lucky as him, because they were home at the time and bore the brunt of some Czarist-induced mob. In any case he's here in New York all by himself. He finally found a job sweeping coal, or something along those lines, and hence the complexion of his face. (And you thought that was only a job for an Orel...) And where do you think he lived? In that cellar. That's right, you're looking at his Shabbos table there. Tasty looking Challah, eh? The caption to that photo Reads Like That. See For Yourselves. So if you browse the aisles in your local supermarket and see lots of goodies, and maybe you needn't really stretch your grocery budget to the brink like that, think about Yiddel in America a hundred and twenty years ago. Think about the look on that forlorn face and put that Schick's cake back in the shelf. Your wallet and your waistline can both do without. "Ribbono Shel Olam, leybediger (how do you translate "Leybedig?") king and Creator. I've tardied, but you know that I wasn't playing cards, nor was I at the theater, and that I only served you." They say in the name of the last Brisker Rov that he was "unimpressed" with those who are in the realm of Tzaddik Goyzer veHKB"H Mekayem. HKB"H Goyzer VeHatzaddik Mekayem was more to his liking - he liked those Tzaddikim who did what the A-mighty asked of all Jews. If I may say so - this is one of those fundamental differences we see between the disciples of the Besh"t and those that did not take on his ways. 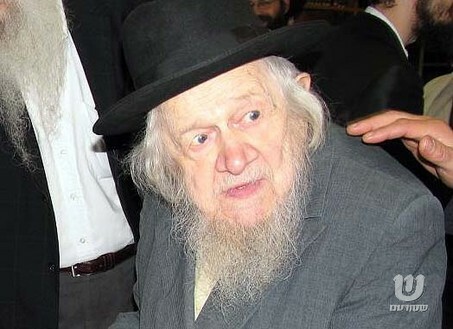 Reb Mordchelle Nadvorner was one of the Rebbes of Reb Shayelle Kerstierer and one of those who pushed him to be a Rebbe and "helf Yidden" like he did. 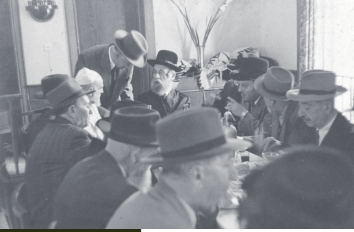 Reb Mordchelle may not have done Chesed on the "farnem" that Reb Shayelle did, which was stand on his feet and cook and prepare and serve food and drink to poor and tired Yidden, but in his hoyf a Jew was helped, and that may have been the number one activity there too. His travels all over Rumania, Hungary and Galicia were for that puropse too, to help Yidden. And it was from him that Reb Shayelle learned how to do what he did for 50 years. 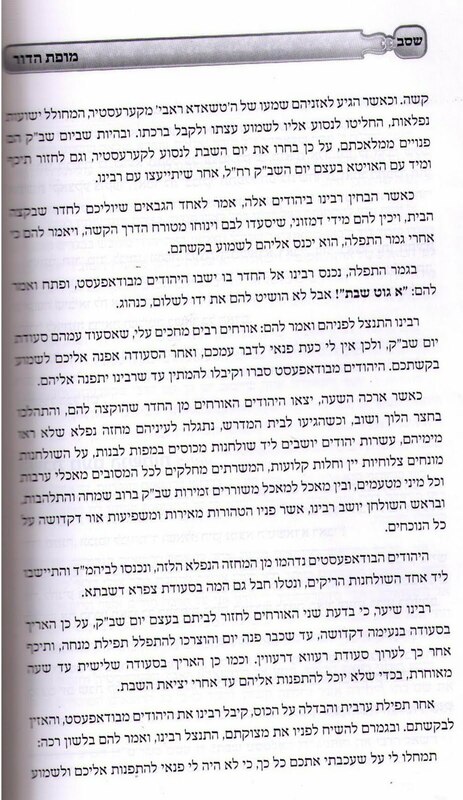 Reb Mordchelle also invited him to come to B'Kerestur after the heirs of Reb Hershelle Lisker weren't happy that he was praving Rabbisteve in their town and made it known so. Imagine that happening: A Rebbe inviting another Rebbe to a small town to set up shop there... That's what many of you don't like about Chassidim in general. They think that have some direct line to G-d and don't need to "wait on line" like everybody else. Why did Reb Mordchelle think that G-d would forgive him, just because he said that cute line every day, that he wasn't playing cards or going to the theater? Couldn't he do what he was doing later in the day, just like the Brisker Rov did?! And the Chazon Ish?! And the Chofetz Chaim?! I very much relate to the very encouraging yet simple message: Lo LeHisya'esh, despite the fact that slogans like that are not mamesh in the Chabad spirit, or so I'm told - but that's beside the point. It seems like he's having an effect on them; I doubt these would be singing "Ich vil zahn an erlicher Yid" out loud was it not for Yoeli. 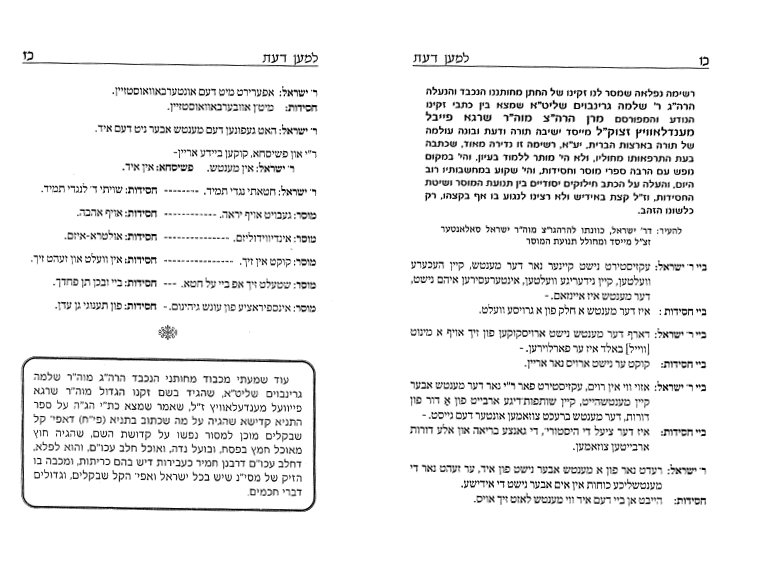 אודה ולא אבוש, I stick to the general consensus when it comes to Shick of Breslov, and the fact that Yoeli's message is so closely tied into Shick is troubling to me. 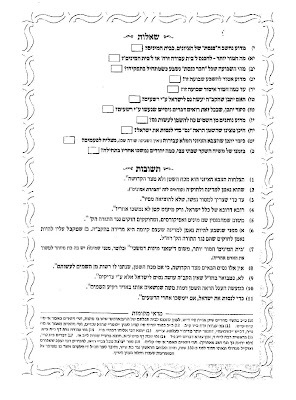 (As a matter of fact, it seems like all Shick has here in NY - other than the 2 guys who distribute his kuntreysim on the streets of Brooklyn - is Yoeli's bachurim!) Well, maybe not troubling, but makes me doubtful as to whether what he's doing is the right thing. 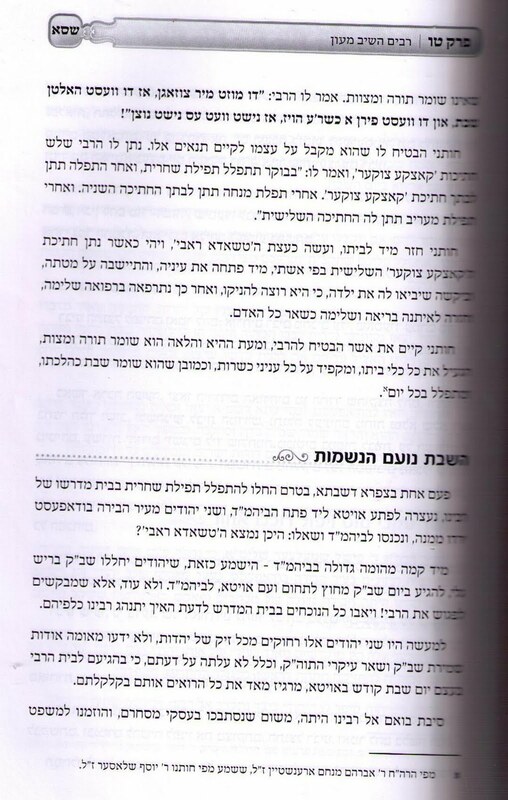 Then there's the שמועות that kids he had in his Yeshivah are frei'ing out and that he's having the opposite effect of what he should be having on them. I take that accusation in stride, not knowing the cases and where those kids were up to when he took them in. He seems like a very angry young man at times, and the curled nose you see in the shmuessen videos is proof positive. So if his goal is to be mekarev these bochurim why is getting them to go to Shick so important to him? We wanna know, and until then we will not reach a verdict. There are lots of videos out there, we humbly suggest that you look for them and decide for yourself. On another note: The guitar. what's with the guitar?! why is that the instrument of choice for all the Kumzitzers and at-risk kids doers?! Every singer worth his salt has decided that he needs to play the guitar, and without it he's incomplete. The Stutchiner Rebbe (Yudkowski) can be seen on the web playing a guitar and singing Carlebach to kids at risk. Is that the only way to reach these kids - or anybody, for that matter? And where is the outrage concerning Shlomo that was around not so long ago? My, how times have changed. 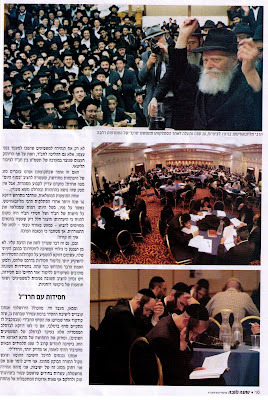 Why, only 28 years ago Reb Mendel Wechter was beaten inches from death for learning Chassidus with bochurim. Today Roth is telling them to say mishnayos and become kabtzonim and he very defiantly puts his speeches on the internet for all to see... Have we lost the war aginst those that prey on young, innocent children who know not better than to be taken for a ride by cult leaders who use these people like Kleenex, and throw them in the trashbin once done with them?! O' how we miss the days of old. No Hungarian worth his salt hasn't heard of the holy Reb Shayele Kerestierrer. And I say Hungarian, both Jew and, LeHavdil, Gentile. 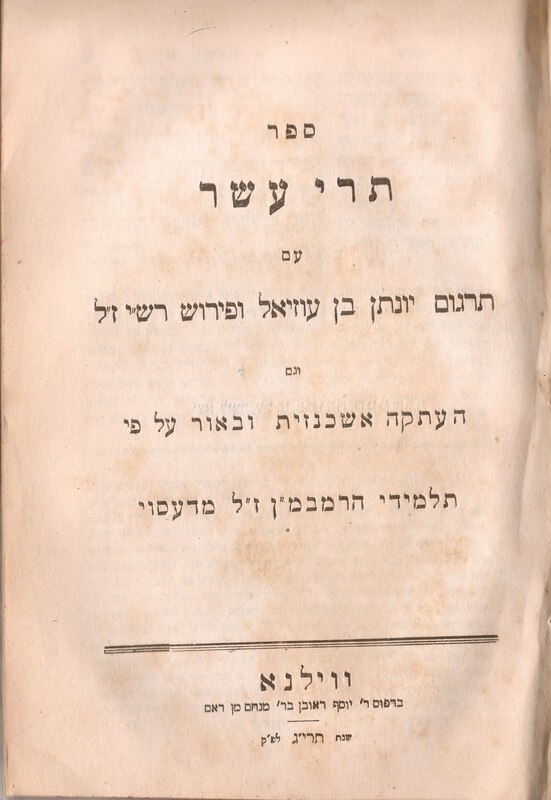 A biography was recently published, and despite the fact that it may not have been the intention of the writers, we see how the whole purpose of Reb Shaye'lle was to help Jews in times of need. 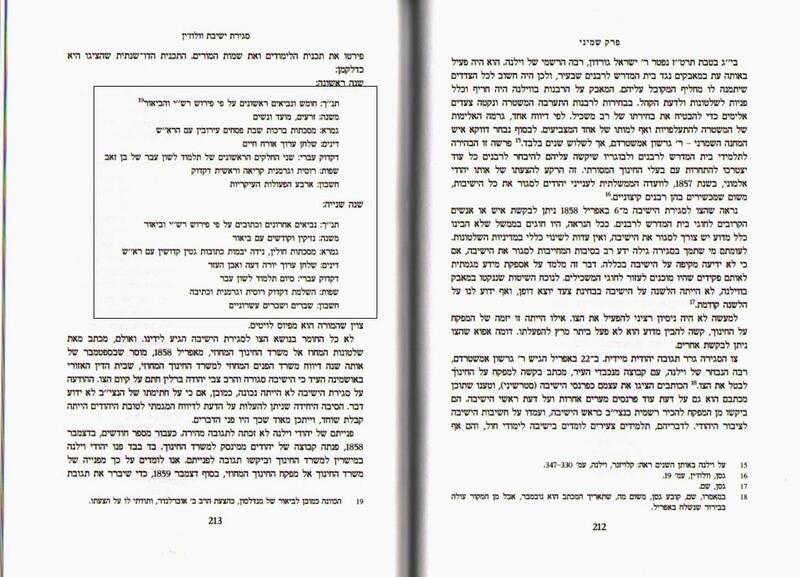 From the time he was crowned Rebbe by the Tzaddikim of his time that's what he was told to do, "helfen Yidden." 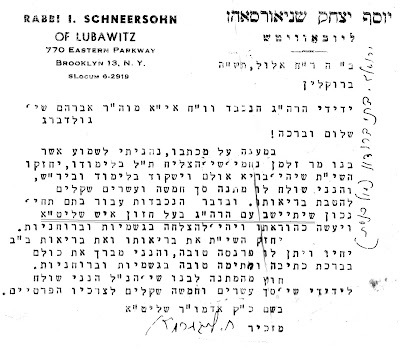 And that's what he learned in the home of his Rebbe, Reb Hershelle Lisker, zt"l. We bring you one such anecdote, where a Jew's level of observance was not made an issue of - at least not by RSK, and once he helped him - and on that condition - made him change his lifestyle and become an observant Jew. There are many more such stories in the sefer, but we bring you one. 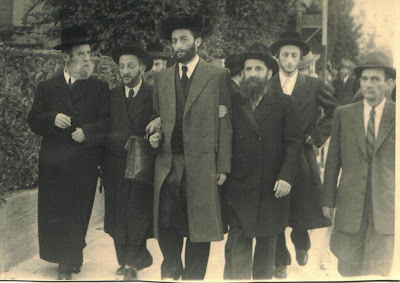 We Hungarians who observed the Lubavitcher Rebbe "etvos," and saw how he helped Jews and at the same time encouraged shemiras Torah and Mitzvos to those who were not doing so at the time, can relate to that very well. Speaking of Rebbes; On the way in to work this morning the Ipod was playing one of MBD's albums, "Ein Od Milvado," where one of the song's is "The Rebbe's Nigun." The Rebbe he speaks of is the Ribnitzer Rebbe, zt"l, to whom Mordche was very close from when he arrived in the States back in the '70s. After his passing he's been splitting his time between the Amshinover in Bayit Vegan and Reb Itche Meir Morgenstern. I guess it takes more than one Rebbe to replace the Ribnitzer... When you listen to Mordche's words, how he describes his Rebbe, and what he longs for, you realize how we've gone so far downhill in such a short time. The adjectives he uses are no longer in use when we speak of Rebbes today - or "Gutte Yidden", as some people would call them. Words like עבודה, קדושה, תעניתים, תיקון חצות, בעל מופת, and on and on. They no longer exist. Today we speak about menorah heights, color of bekitshe, rows of bleachers at the tish and the vacations to Palm Springs and Fluriddeh. Of course not everybody was a Ribnitzer back 100 years ago either, but there was one or two. Now there are none. Today was D-day on at Spinka HQ on 56th Street. The judge did what many of us hoped would never happen. There will be no house arrest. Arrest, yes, just not in the house. From what I hear Texas may have its first Chassidishe Rebbe as a resident...We'll try and keep you posted. UPDATE: I hear now that the SR first traveled to Massachusetts for medical tests, and will most likely then transfer to Otisville Correctional Facility in New York to spend the remainder of his sentence there. I was at a meeting of former talmidim last Spring in Monsey. 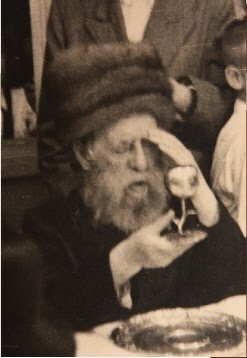 I must say that it's "ah shod" that I couldn't have had that connection with the Spinker Rebbe back when I was a talmid there. The setting was very "loose." After a speech from the Spinker Rebbe and a short overview of the situation there was Maariv, with the customary Spinka sefiras haOmer. After services each yungerman sat down and spoke to the SR, reminiscing about his time in the cheder/yeshiva, and bringing him up to date as to what's going with him at this point in time. It had been a long time since we spoke, a very long time, for whatever reason, and we spoke for a long time. It was easy going and inspiring at the same time. The SR told me then that he too learned in Tomchei Tmimim, ("Ich bin oich a Tumim")and that among other things the Gabbai Reb Yochonon Gordon passed away in his father's shul at 440 crown Street. I must say for a Tomim he sure had to brush up on his Lubavitch knowledge, but that's neither here nor there. I walked away with a new appreciation for the SR as well as for my years there, in Spinka Cheder and Mesivta. (If I already wrote about that evening here I apologize.) 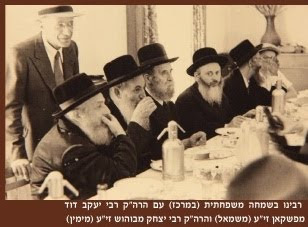 Obviously it's not proper for a young bucher'l to be buddy with the Rov/Rebbe/Rosh Yeshivah, but still, I can't help but think that things could've been better there, that the atmosphere didn't have so "ohngeshtrenked" all the time, that the Yeshivah could've been a lot more successful with a better Modus Operandi. Maybe I speak only for myself, I'll grant you that, but don't we all see things our way? I realize that today is different than 10-15 years ago, when you could get away with murder in NYS, maybe sit for a few months, and certain people were "above the law." א געוויסע רבי פון ספרינג וואלי קומט אין באטראכט. But one can't keep from wondering what many of you keep on wondering when it comes to SMR: where was Misters so-and-so when we needed them? Where are all the years of connections and elbow-rubbing when you need them? Why didn't "der-un-der" speak to _____________? and why didn't _______________ use his contacts to at least stop this embarassment? I'm not pointing fingers at anybody, because I doubt there was much to do. Times are different and not everything is for sale like it was in the pre-Internet age. 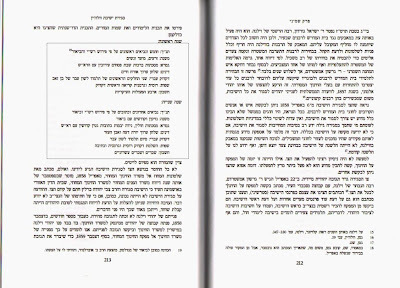 But I do cry for the fact that this had to happen, and that years of hard work may come to an abrupt halt, despite 2 generations of educating thousands of Yiddishe Kinder. זאל דער אייבערשטער געבן אז דער ספינקער רבי שליט"א זאל אפקומען מיט א פאר טעג און אינגיכן ארויסגיין מן המיצר אל המרחב בתוך שאר בני ישראל. 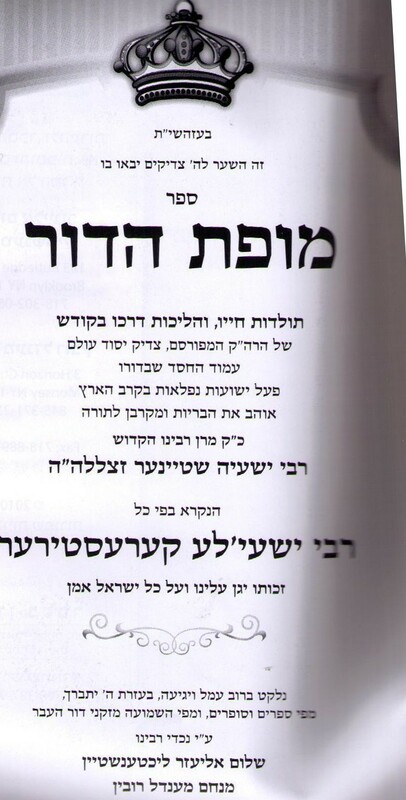 Sunday, Hey Teves, was 50 years since the passing of the Sadigerrer Rebbe, Reb Avrohom Yaakov Friedman, zt"l, the Baal Avir Yaakov - (whose sefer I also yarshened from my zeide, incidentally, just like the Emden Siddur...) המבשר newspaper in Israel had a beautiful insert devoted to him, and I unabashedly cropped the beautiful pictures from there, one-by-one. 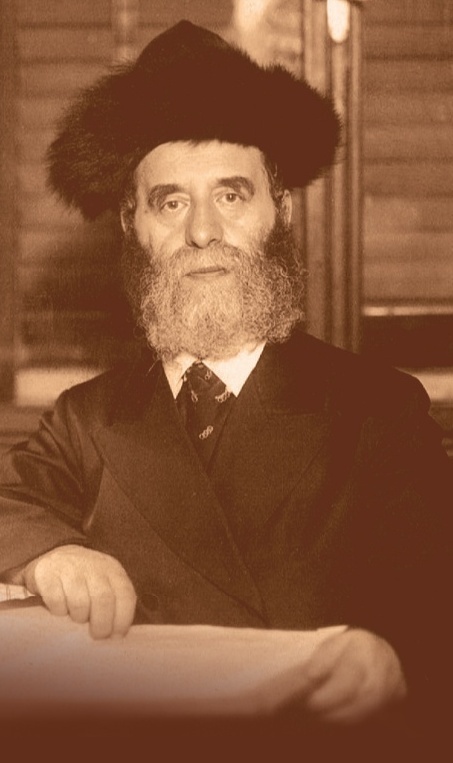 Reb Avrohom Yaakov was an older brother of Reb Shlome'nyu, whom we discussed last summer. 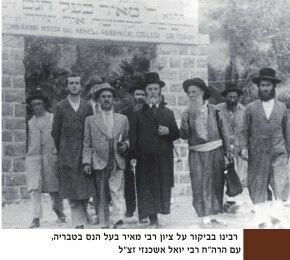 He left no children, r"l.
Leaving the tziyun of RMBH in Tiberias. What can you say to a pic like this? Such was often the "look" of a tish after WW2 in Israel. E15th and J. Not Kosher. In the last couple of years, Chabad’s presence in Flatbush has increased and there are several “shluchim” who actually make a difference in people’s lives. Recently, the Lubavitcher yungerman who runs the operation on Ave J, has been admitted as a full time student Kollel Gur Aryeh on Coney Island; a testimony as to how Chabad has been “accepted” by the Yeshiva World and how times are changing -for better and for worse. 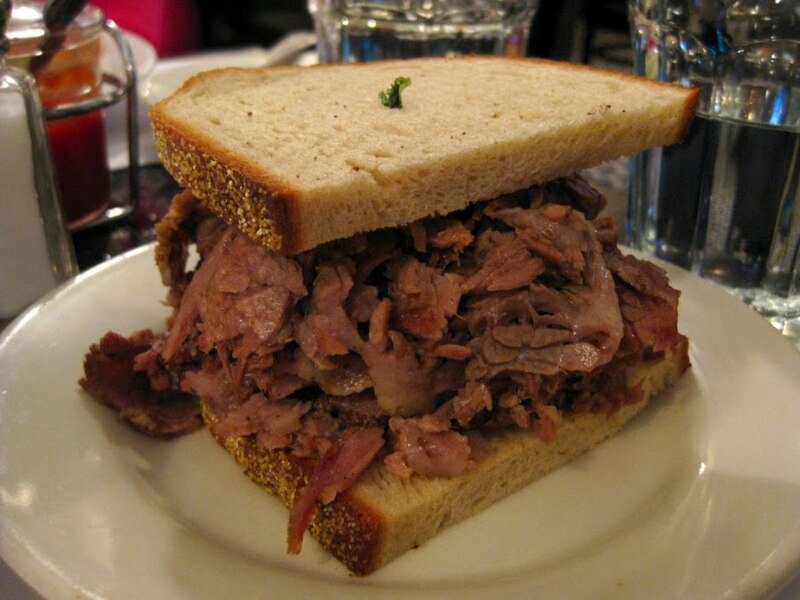 Be that as it may, IMHO, the fact that Lubavitch is having success is not a good sign for the community. It is a manifestation of Flatbush’s un-Torahdikeh environment. To put it simply: if Flatbush would be a stronghold for serious yeshivaleit, the reaction to Chabad would not be as welcoming. 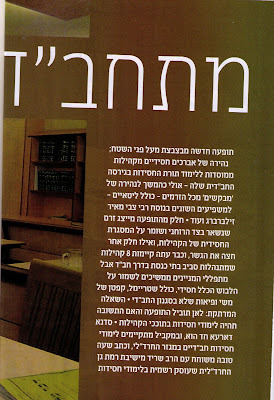 IOW: the “welcoming” of Chabad, is an indication – perhaps a subtle one – that true Bney Teyreh are persona non grata. My friends,It is not easy being a Ben Teyreh in Flatbush. First there is the education of the kinderlach. Contrary to Lakewood where provided one is deemed a “true ben Teyreh or has pull, you can have your pick of many different levels of exclusive chadorim, in Flatbush you have no other choice but to send the kids to a “community” school where there kids of all stripes and denominations. Then there is the actual standard of living. In Flatbush, it is much harder and less socially acceptable to be on the “programmin”. One doesn’t have the luxury of living with other yungerleit in a claustrophobic attached-on-both-sides development where one is not expected to have two cars. To make the problem worse, Flatbush has been recently invaded by a group of tuna-bagels (TEE-NUH BAY-GILS) who erected this monstrous edifice known as the POMEGRANATE. For many of your neighbors, they associate a religious experience with walking into that store and being awed by the variations of galah, herring, dips with the take out section of fish, meat and fresh baked goods (let’s not get started with the different types of six-hour cheeses). Obviously, a true-blooded sensitive Ben Torah does not feel at home in an ostentatious environment of overindulgence, luxus, and materialism – even if his family shtams from the Oberland. Of course, In Lakewood, many can eventually afford to buy a house – somehow. Once the down payment is accounted for, the mortgage can be paid by renting out the basement to Pedro Sr., with Pedro Jr. and more importantly, Pedro III – the ticket to everyone’s citizenship – whose tuition at the local public school is covered by the property tax paid by the oylam. 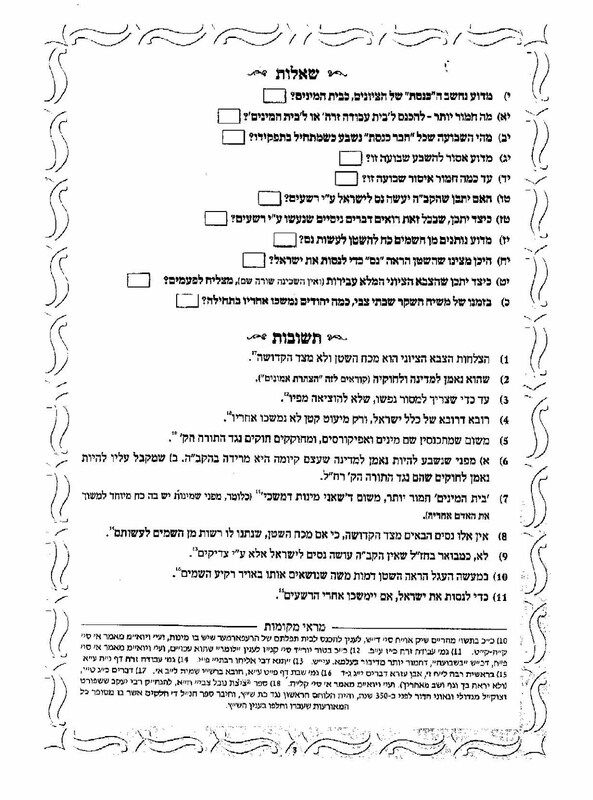 In Flatbush, if you are not an SY, or you don’t have a rich uncle, there is no way it is going to be feasible to buy a house [unless, you want to buy next door to a Beis Menahcem, vedal]. That means that if you want to learn in Flatbush, you probably would have to move to Marine Park (also not so cheap) or to Kensington. Perhaps the biggest problem is more of a nuanced and subtle and is of the sociological nature. You see, in Lakewood, the bal-ha-batim know their place and many of the relatively younger ones have an inferiority complex that they are “working” [unless they do “very well”]. Basically, although no one really says it publically, the working class is expected to accept their fate and acknowledge – at least subtlety- that they sit where Rosa Parks refused to. 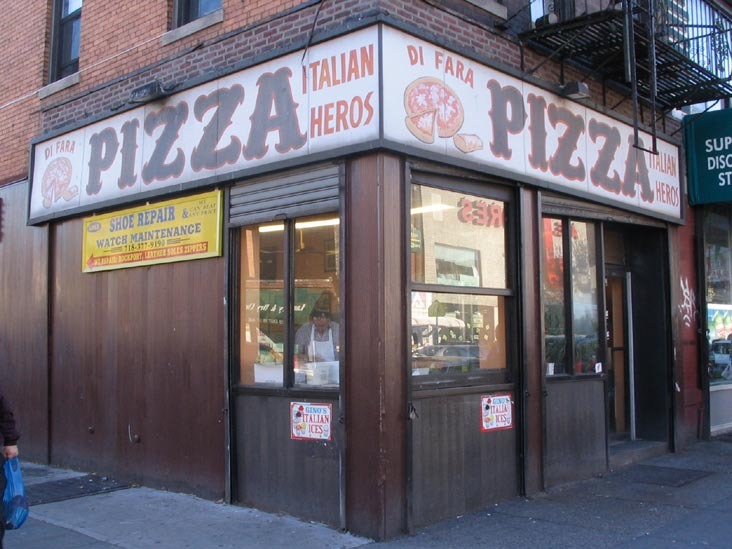 In Flatbush, in the last ten years, this is has all changed. The reason, in short: Rav Avrumy Schorr. 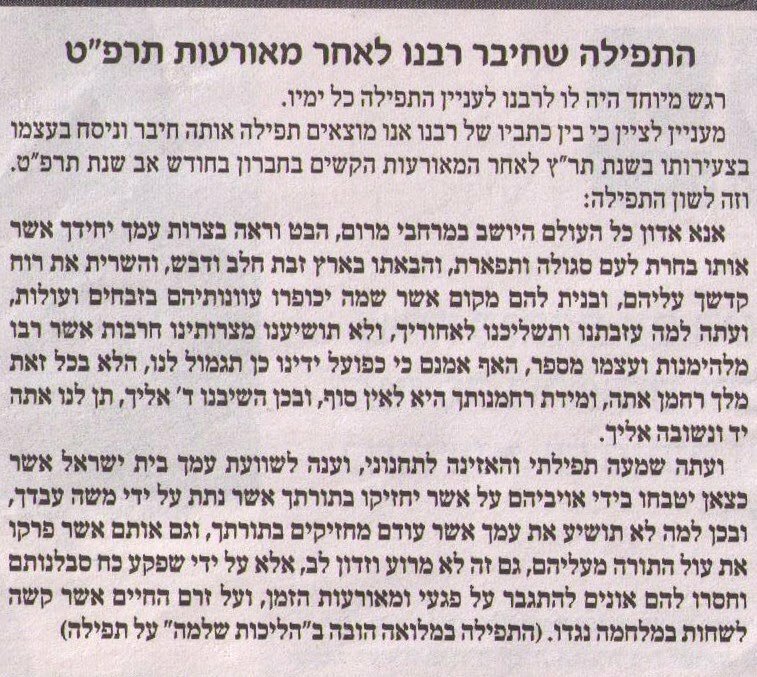 Rav Avrumy has changed the way the Flatbush working guy, whose years of hasmadah and cheshek in Yiddishkeit (if it ever existed) are something of the distant past. He has rejuvenated many and now the bal-ha-bus can walk with a spring in his gait. He is special. He gets to hear the standard reyd from the Poylishe seforim (sprinkled with some other sources) on a weekly basis. Unlike ones not-so-fond memories of days in yeshiva with “boring” melamdim - this new Rebbe is dynamic. His face can turn beet red, as long as he is twirling his peyos with enough concentration. He follows in the way of the Beis Yisroel as he paces up and down the aisles and stares – and he does not have a chair by his seat, ala the Beis Yisroel. 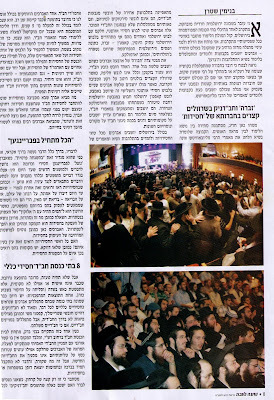 Rav Avrumy, who has family member who are respected Chassidim, due no doubt to his impressive resume and tenure in many yeshivas, has learned the age old trick in building people’s self-esteem and making them feel good: “muhn” something from the crowd. There is no better source of self pride than having an authority figure actually expect something from you! But I must say, Rav Avrumy perfected this age-old technique. Instead of “just” muhning, he actually speaks about things and hasagos that are much higher than where the oylam is holding. As a result, one can have the proverbial cake and eat it to; get “muhned” and feel no need to change one’s life one iota – just sit back and enjoy the monologue. Although, Rav Avrumy has finally found his calling and his presence is overall beneficial to the denizens of Flatbush, it is questionable on its affect on transforming Flatbush into an ihr v’aym b'yisroel. 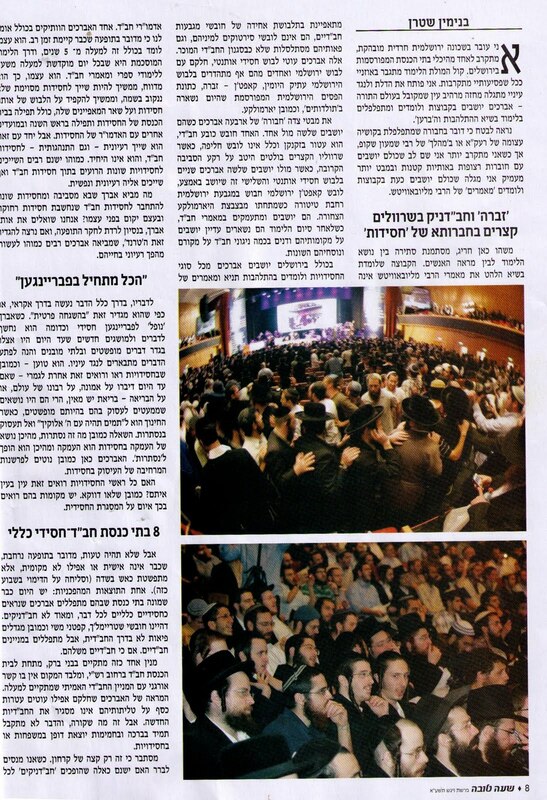 I imagine the article was inspired by the recent visit of Reb Yoel Kahan, zg"z, to Eretz Yisroel and a slew of farbrengens and shiurim that took place there, with astounding success, B"H.
I apologize in advance if some people get into a moroh shchoyreh funk when we discuss the Holocaust and deceased grandprents and such, ober s'doch a b'feyrushen posuk of Zchor Yemos Olam. 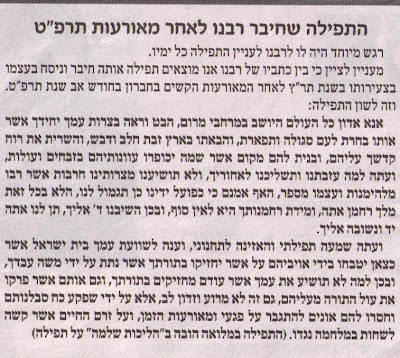 And even more so, stories like the one featured here, a reprint from last Elul's HaMevaser newspaper published in Eretz Yisroel, teach us how to deal with adversity and tragedy. 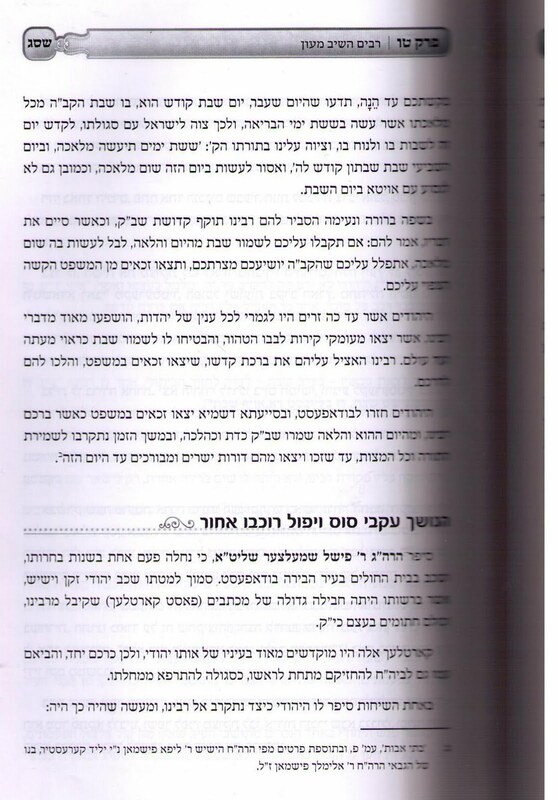 Many of you may have watched the Levaya of the couple Holtzberg Hy"d in Kfar Chabad, where lots of people had "kashes affen eyberhstun," and you may have been shocked, surprised, uncomfortable or all of the above. You had never, ever heard such talk before. Everytime you heard about a tragedy the people involved, no matter how simple or unlearned, always spoke so trustfully, and accepted their lot with love, because that was the will of Hashem. Frankly, either people are complete Tzaddikim - and Hashem only punished the righteous because they can handle it - or they don't associate tragedy with G-d, meaning they don't see it as the hand of Hashem , or they just don't care. If tragedies only happen to Tzaddikim and their families then I accept your complaints, and maybe that's why we see others saying it, not the actual people affected by it, like maspidim and commenters on websites. There's no other explanation. Pain like that NEEDS to be accompanied by crying out and asking "WHY?" And until now, if you were raised on the Hamodia,Yated, the JO, Feldheim and Artscroll you thought that any other way was heresy, but now you now better, because the Tzig showed you a befeyrushen mayseh rav of the Ponovizher Rov, zt"l. The true Rachmonus is af unz, down in the ditches on this lowly world. Yet the Ponovizher Rov built Torah and fed yesomim, despite his pain and suffering, which only makes it more amazing, seeing what emotions he had inside of him. I sit here on Zos Chanukah night at 10:45pm having just finished lighting the Menorah and waited the appropriate half an hour alongside it. I should feel like some big Rebbe who lights like 10 o'clock, but I don't. I had a long day at work. By the time I came home most of the kids were asleep, and those that weren't weren't very keen on waiting the half an hour with me. They went to bed. At least one of my sons prepared the menorah so nicely - brand new glasses and a nice shamesh too. So I turn to my other family to share my thoughts. At work a young man was very excited about Zos Chanukah; he told me very warmly that I should פועל אויס אלעס גוטס. "Gezint, Parnooseh, Naches, Shoolim Bayis." I smiled and responded in kind. I'm sure what you can "poel" when you're staring at a computer screen and dealing with 'nechertes' in the office on such an auspicious day - but he's very excited about it, and far it be from me to rain on his parade. Excuse me saying so, but here again the working man is discriminated against. He cannot experience what a yoshev ohel would experience were he to apply himself and try and receive that wish Zos Chanukah offers. We're talking about those that kuch zich in zos chanukah - not all do, and if you don't then I guess you wouldn't be missing anything either way. So I sit by myself in a mostly dark house in Rockland County. It's warm and the candles are nearby. Maybe too warm. I wonder what my O&R bill will be like next month. I cannot hear the story that the lichtalach tell; too much grobkeit over the years keep your ears from hearing di eydele zachun. 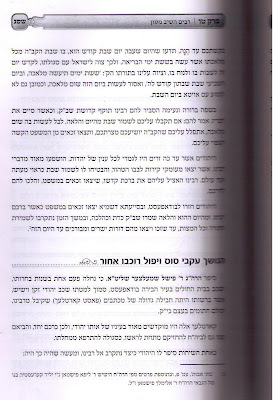 The idea of a zos chanukah rings true, whether the Bnei Yissoschor is your guiding light or not. The point that 3/4 of a year is still a year ---- that we could retroactively have a good YEAR despite only 9 months ahead of us - and despite having three mediocre (or worse) months - is an idea that we all should live by. Sometimes it's those that profess to live by a certain teaching that need the most encouragement when it comes to that point; those that profess that it's never too late often give up and throw in the towel, saying that it's too late to change. It's for that reason that the point is hammered home so often - not because we so excel in that middoh, but efsher gor farkert. So whether or not you work or learn Zos Chanukah can be more than another last chance, it can be a life's lesson that keeps on teaching. So whether you make it to some Zos Chanuah somewhere late tomorrow night shouldn't be what matters. What matters should be whether or not you carpe the diem or not. I hope that made sense to some of you. 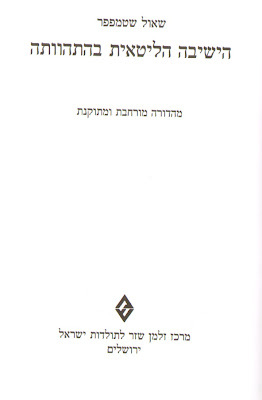 Chanukah is one of those times ven ich nem afier dem zeyden's Reb Yankev Emden siddur and gently caress its pages. 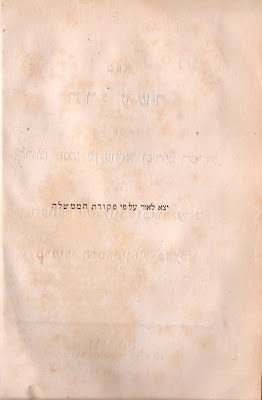 The siddur was a present from di Bobbe olehu hashoolem over 50 years ago, back when they lived in East New York, (Brooklyn) Vermont Street to be exact, and a very warm Hungarian inscription from her lives in the siddur for eternity. 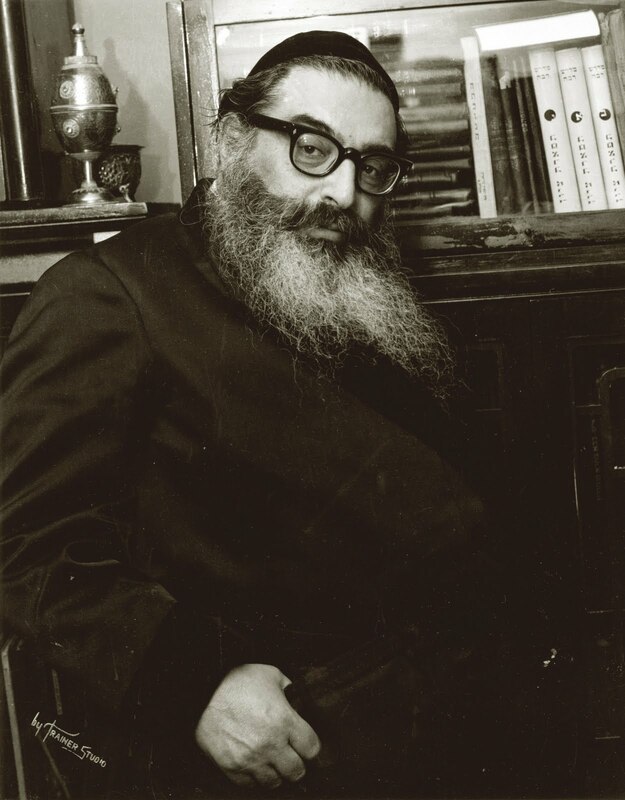 Der zeyde inscribed in it all his yohrtzeiten, his parents, first wife, first 4 kids, siblings, and later on his second wife - di bubbe - too. The European Yohrtzeiten are in bunches ----- families, not individuals.... It keeps you wondering how he managed to rebuild and lead a life of relative joy and untold Torah learning despite that. Ahhhh, lulei soyroscho sha'ashu'oy, oz ovadeti b'unyee. We see it b'chush, even amongst Hungarian baaleibatim, not just in di Litteh. 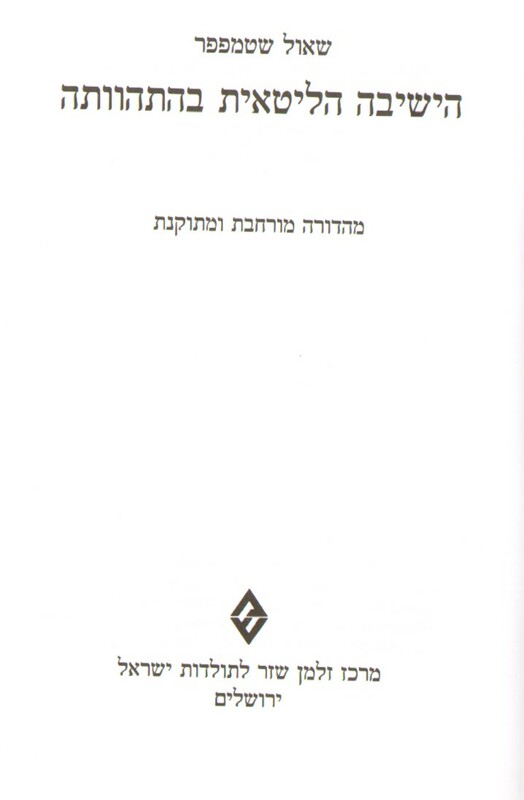 I was zoche to inherit the siddur - with my mother being an only child - and feel especially privileged to have it in my posession. I took the liberty to add the zeyde's name and Yom HaPetiroh underneath his family's as a gesture of continuity, showing the Jewish nation's indellible spirit and unwavering commitment to Torah and Mitzvos. The siddur's condition tells me that Chanukah is an especially auspicious time to be used, as I'll illustrate fortwith. Take a look at these pages. They whither away, while the rest of the siddur is as good as new. Not Pesach, not Shabbos, not Rosh Chodesh, nothing else looks half as bad as Chanukah. I wonder why that is, but then again, maybe I shouldn't. Chanukah was always special. 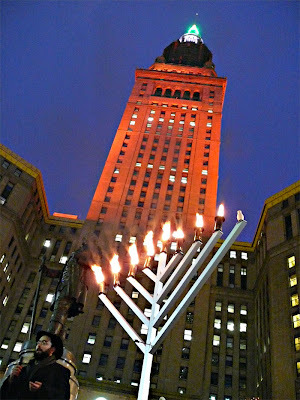 Der Zeyde would sit forever by the Chanukah licht, often times all by himself and say the pizmonim and watch the licht. No weird and wild gesticulations, no weird gestures, just pure and simple attachment to the siddur and to he to whom he said the mizmorim to. Devotion to Hashem and his Torah, and a very special attachment to the siddur despite being quite at home in most Chelkei HaShas and Shulchan Aruch. Maybe because these Yidden were the נותר קנקנים that נעשה נס לשושנים; the shearis hapleitoh that the eybershter made miracles for and helped them rebuild, maybe that's why Chanukah was so special in their hearts, and by extension in their siddurim as well. Maybe they were thinking about Chanukas past and those that were taken from them. Those of us that were lucky enough to spend years with such special zeides and bubbes have much to be thankful for. They have fountains from which to draw the waters of life - lessons on how to live life despite such hardships, and how to live as believing Jews, not just of the lip-service kind. 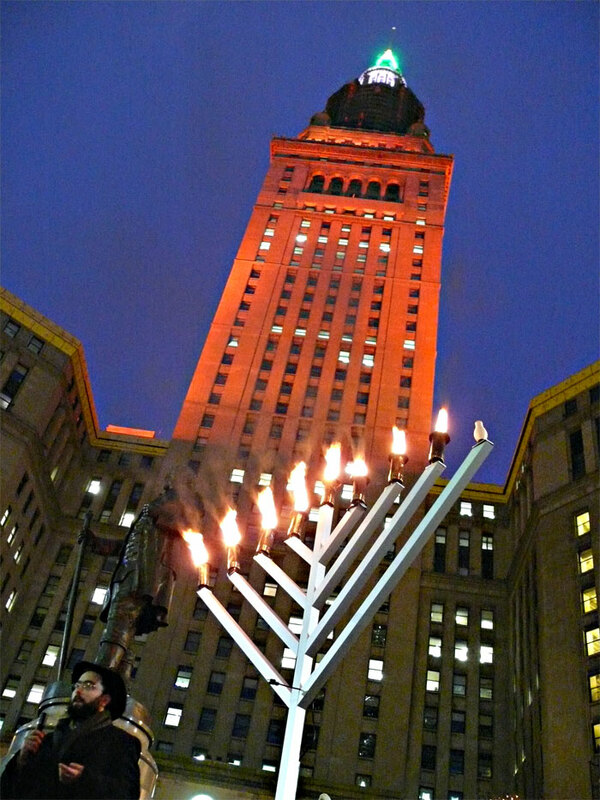 What better time than the last moments of Chanukah to give Hallel and Hodo'oh for that, whether for past or present. And if even luckier and have a zeide and/or bubbe still with us kiss his/her hand and tell her how much you love him/her and appreciate him. You might even get some extra Chanukah gelt out of it. Maybe it was like a Yeshivah Lunch Schedule! I promise. No more Biur/Mendelssohm talk after this for a while. Bli Neyder, anyway. 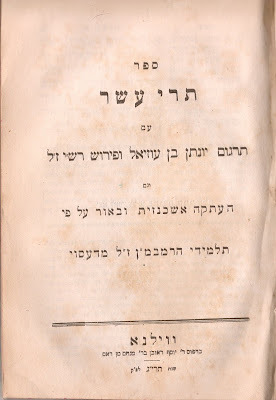 I believe it was Yehupitz who used the Yeshivah lunch schedule analogy to prove a point about the Biur and whether or not Mendelssohn was considered a legitimate Meforash in di Litteh. It was brought to our attention that the Tzemach Tzedek of Lubavitch, the Posek HaDor, was listed as one of the "maskimim" to the Biur, and we all know that couldn't be and never happened. So the only Chassidic greats they could think of in the whole Russian Empire were the Tzemach Tzedek and the Barditchever Rov Halperin? What did they base this on, whomever Dr. Lilienthal went and visited? Shaar Blat of Trei Osor, with the flip side of that shaar the next photo, showing that the Government "convinced" them to print it. So the Memsholoh told the Rom Family to print the Biur. They also decided that the Tzemach Tzedek endorsed it. I guess we can derive from that, that the fact that the "official schedule" made extensive mention of the Biur could very well be only to please the authorities. I'll accept that. I also think that bichlal too much time is listed there as having been spent on TaNaCH. I doubt they did that much Bible in Volozhin. Thanks to a reader for submitting it. I guess we're not so bad after all, eh? "פרעה האט געמאכט בוירטדעי פארטיס"
"למען ידעו כל באי עולם כי ה' הוא האלקים"
The picture discussed in the Yohrtzeit article. You must admit: Posing for a picture like this, and maybe even inviting Heshy Trainer to come take his picture, is nothing short of classic. Slabodker "Gadlus Ho'Odom" and a gartel and samete cuffs combined. Maybe I'm not getting something here, and then maybe you guys can help me out. It seems like all those years of Lubab "brainwashing and kool-aid" did a real number on me. What we have here is a daily schedule of learning in Volozhin in the year 1858 LeMisporom. That's 34(!) years before it actually closed. 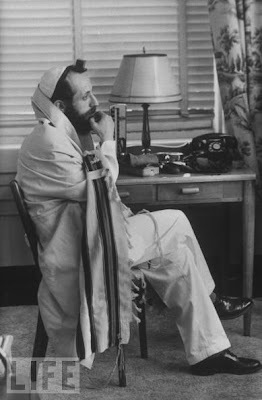 [The NeTZIV was the Rosh Yeshivah back then, although there is talk there about getting official Government recognition. Maybe that has something to do with internal politics... The Beis HaLevi was there at the time. If we had the time and energy we could find that many of the giants were learning there at the time.] I dunno about you guys, but I had no idea they were being hounded by the Government for such a long time. The official schedule pictured here and submitted to the Ministry of Education was maybe composed to please the authorities and to show them how they're agreeing to the demands that they begin teaching the students the Russian Language and other secular subjects. So we're not here to complain about that or to point that out, despite the fact that today's biographers would have you believe that nothing other than Torah and Talmud was studied and taught there. But one things keeps you scratching your head: Why the need to study the Biur?! Was that too required reading by the Czarist Government? Did the maskilim force that upon them with their influence among Government officials? Intelligent answers are welcome. 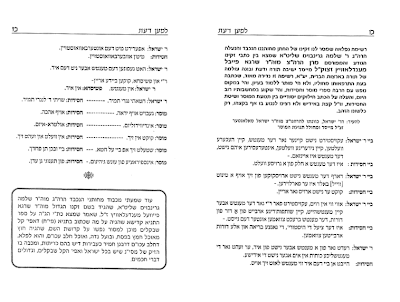 Please note the difference between הביאור with the ה' הידיעה, when it comes to Chumash, and ביאור stam when it comes to Nach. HaBiur is Mendelssohn. Biur stam can either be the continuation of that commentary by his contemporaries and students, or it can be any other Meforash on TaNaCH. The title page of the above-quoted book.